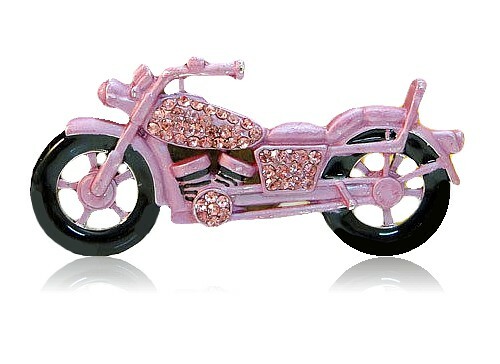 Biker girls and rock chicks will adore this powerful little brooch, with its metallic pink enamel and sparkling pink Austrian crystals. Perfect on any lapel or pocket, but truly at home on bomber jackets and biker jackets where it attracts major attention. Size: 7cm (3”) x 3cm (1¼”).